Benzodiazepines are routinely prescribed as sleeping pills and sedatives, but a new study indicates that they could be very dangerous. The study, from Britain, indicates that these medications could raise the risk of contracting pneumonia by 54%, while also increasing the risk of dying from the disease. The study estimated that about two percent of the U.S. population has taken these drugs for at least a year. That number is closer to 10% among older adults. The drugs are common, in part, because they treat many different ailments, including insomnia, anxiety, muscle spasms, and even epilepsy. But, they come with well-documented side effects. In this study, the research team analyzed information about more than nine million British patients. Specific attention was paid to the nearly 5,000 who were diagnosed with pneumonia in 2001 or 2002. They, in general, were more likely to have had other serious illnesses, like heart attacks and depression, and were also more likely to be smokers. Benzodiazepines were linked with a 54% higher risk of contracting pneumonia. This was independent of all other risk factors. 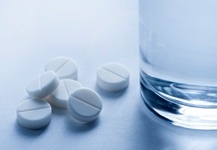 The research team also determined that the risk of dying within a month of a pneumonia diagnosis is 22% higher when combined with benzodiazepines. The benzodiazepines most often prescribed—diazepam, lorazepam, and temazepam—were specifically mentioned in the study. Oblora, E et al., “The impact of benzodiazepines on occurrence of pneumonia and mortality from pneumonia: a nested case-control and survival analysis in a population cohort,” Thorax, published online December 6, 2012.